Computer diagnostics of your own car can be carried out on your own. Autodiagnostics is not so difficult and, hitting this page, you are already two steps from the goal. To do this, you need to buy a diagnostic scanner, it's an OBD-II adapter or another scanner, install and configure the appropriate software and you are ready to go! Scanners OBD-II are easy to install and configure the diagnostic program, easy to connect and work when diagnosing your car. 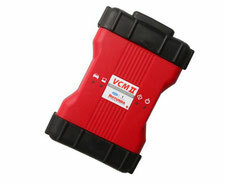 Diagnostic scanners can be universal (multimark) and used with different brands of cars or vintage, capable of working only with certain brands of cars. Also, OBD-2 scanners differ in the number of supported functions, the availability of the ability to carry out adaptations and coding, the possibility of updating software in vehicle blocks. During operation, simple OBD-II scanners may stop meeting the requirements for setting up modern cars with complex systems, or simply do not see some control units. Dealership scanners will help you get advanced functionality in car diagnostics, will enable you to diagnose all types and systems of the computer ECU. With the help of such dealer scanners it is possible to work with the machine as a dealer, namely, to carry out coding, programming, adapting control units, perform a test of actuators. Often, dealer diagnostics have the possibility of guided troubleshooting by symptoms, which simplifies the repair process and helps save time. Dealer adapters can parameterize the units, reset the settings to the factory settings, adjust all additional vehicle systems such as gearbox, comfort systems, steering wheel angle, etc. on a professional level. A multi-brand scanner attracts with its wide map covering car brands and sufficient facilities for diagnosing the most common cars in our country. Typically, a universal diagnostic scanner is bought by small SRTs specializing in "everything that calls in". Of course, all the functions of the dealer scanner will not give, but the boxed functionality is more than enough to work. In addition, the universal scanner kit includes most of the adapters for pre-OBD2 cars, which were manufactured before 1996. Thanks to software updates, you can expand the functionality and list of supported vehicles and their control units. The most common multi-brand scanners are Launch X431 Pro and Autocom CDP Plus (or Delphi DS150E). The first is more expensive, the second is budgetary and is not even bad at work, on the coverage map and functions.